The small island state of Tasmania has some of Australia’s most extensive and best-conserved wilderness areas and pristine coastlines. Almost 45% of Tasmania lies in reserves, national parks and World Heritage Sites. One of the greatest challenges Tasmania faces now and in the future is around responding to climate change. How can decision makers in government, industry, business and the community, needing to adapt Tasmania to climate change, be provided with the information they need in a form they can understand and apply to decision making? Tasmania is an island with a varied topography leading to significant differences in local climate on a scale that is far smaller than can be captured using a global climate model. In most global models, Tasmania is represented by at most four grid cells. This level of detail provides very little confidence to users that projections at a local scale are meaningful or helpful. 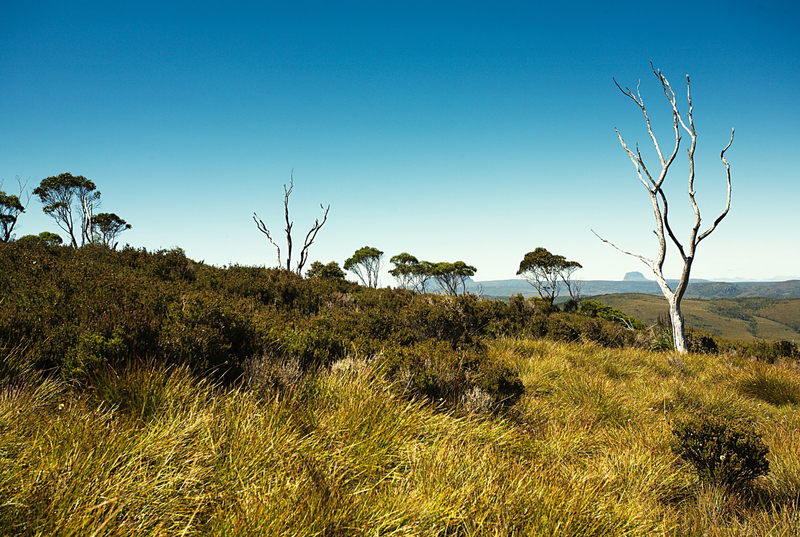 The Climate Futures for Tasmania project led by the Antarctic Climate and Ecosystems Cooperative Research Centre (ACE CRC) addressed the need for relevant, locally specific information about expected changes to climate that reflects the highly variable topography of Tasmania and many strong regional variations at a finer scale resolution than is available from global and national scale models. Between 2008 and 2011, Climate Futures for Tasmania produced a series of products and reports of anticipated climate change impacts for new audiences, including summaries for local government areas. Key findings in these summaries are assisting end users including Hydro Tasmania and the State Emergency Service in their work with climate change adaptation at a local scale, by helping them to understand key factors influencing risks and impacts that are likely to affect their local area over the coming century. The aim was to prepare and present future climate trends in ways that were directly applicable to making operational adaptation decisions for a number of priority sectors in Tasmania. The outputs of the downstream models of impact were very important in the success of the project. Climate Futures for Tasmania was effective in assisting decision makers in making practical decisions in order to adapting to expected changes in power generation, agriculture, infrastructure design and other sectors. The project triggered a range of flow-on and downstream projects that have adopted similar targeted analyses for other geographic locations and sectors. The project provided climate information to others undertaking complementary assessments of impacts on other assets and operations. More than 50 complementary projects occurred subsequently, these were either directly linked to the original project or based on the demonstration effect of the project. A driver to action was the realisation by the users in project development that the key to success was integration of climate models with the downstream models of impacts on operations (catchment models, wind impact models etc. already held by some users) and communication of the results. Climate maps, graphs, tables of trends in key climate parameters at a local scale. Application of future climate conditions to operational models showing impacts. Climate trends for each Local Government Area (LGA). Updated assessments of coastal erosion, biosecurity and energy production. 1) ClimateAsyst is a tool developed in conjunction with ACE CRC by Tasmanian engineering firm, Pitt and Sherry. It has helped infrastructure managers, planners and local government to assess what climate change impacts identified are critical to specific infrastructure and interpret them against their own assets or planned locations for future assets. The tool provides a snapshot assessment in a GIS format with links to documentation and building code standards. Outputs indicate that infrastructure and buildings are sensitive to changes in several climate variables, and sometimes to a combination of climate variables. Climate simulations do not give the answers required for planning and adapting infrastructure for climate change. 2) The interpreted results of Climate Futures for Tasmania were were used by the National Climate Change Adaptation Research Facility (NCCARF) National Adaptation Research Network for Marine for Marine Biodiversity and Resources in a study into climate adaptation options for the Australian edible oyster industry. Changes to climate conditions likely to impact the oyster industry include extreme flooding events impacting oyster harvesting operations and heat waves. The study titled 'Climate Change Adaptation in the Australian Edible Oyster Industry: an Analysis of Policy and Practice' identifies the key collective actions and opportunities for adaptation in the industry. 1) Climate Futures for Tasmania was announced as both the National and State (Tasmania) winner of the Education, Training & Research category of the Resilient Australia Awards 2012 (http://www.em.gov.au/DisasterResilientAustralia/Pages/2012ResilientAustraliaAwards.aspx) by the Australian Attorney–General's Department. The awards recognise innovative practices and achievements that make communities safer, stronger, more resilient and better prepared to manage emergency situations, including better preparedness for climate change and extreme events. 2) Climate Futures for Tasmania was named by NCCARF as one of sixteen national exemplar ‘Adaptation Good Practice’ case study projects in 2013 in recognition for the project’s success in the area of climate adaptation and stakeholder engagement (http://www.nccarf.edu.au/localgov/case-study/climate-futures-tasmania). There is a need to consult with the users of the results, to present them in the most meaningful way. Working as a team on project objectives creates results that are greater than the individual could have achieved. Different levels within an organisation need to be engaged; communications and channels may need to be adjusted accordingly. Ensuring that other existing and planned tools could intersect well with the Climate Futures outputs improved their utility and transferability. Linking climate projections with a range of other models supported long term decision making across a number of fronts and helped make them sustainable into the future. The tools support a lot of other tools and initiatives and because a well connected approach was taken can save significant costs in a multitude of fields. assessed only those climate variables requested by stakeholders. As the project progressed, other climate indices and risks were identified by additional stakeholders and these led to subsequent projects and analysis by other researchers as part of complementary projects.